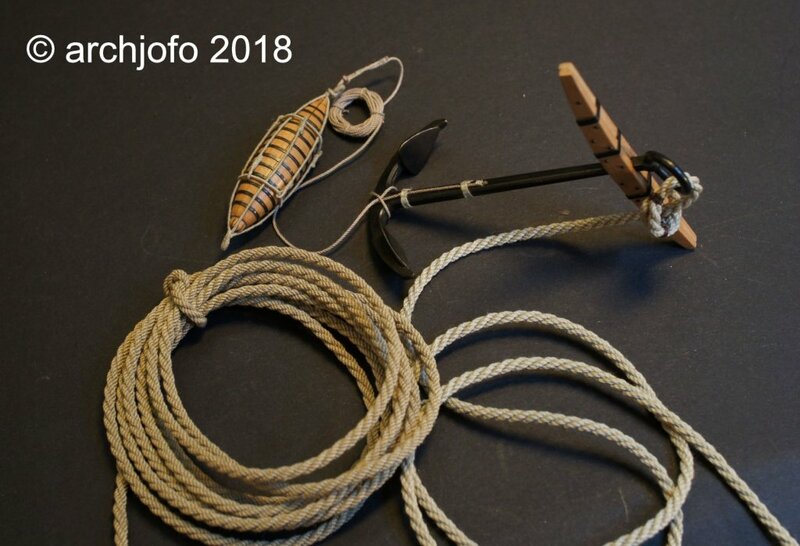 Do you replace the ropes (of buoy for example) already tied with the new ones? and the reference to a source of linen yarn. The ropes for the bouys are clothed. Therefore, I will leave this. But the other ropes will be replaced. thank you for your appreciation of my work. 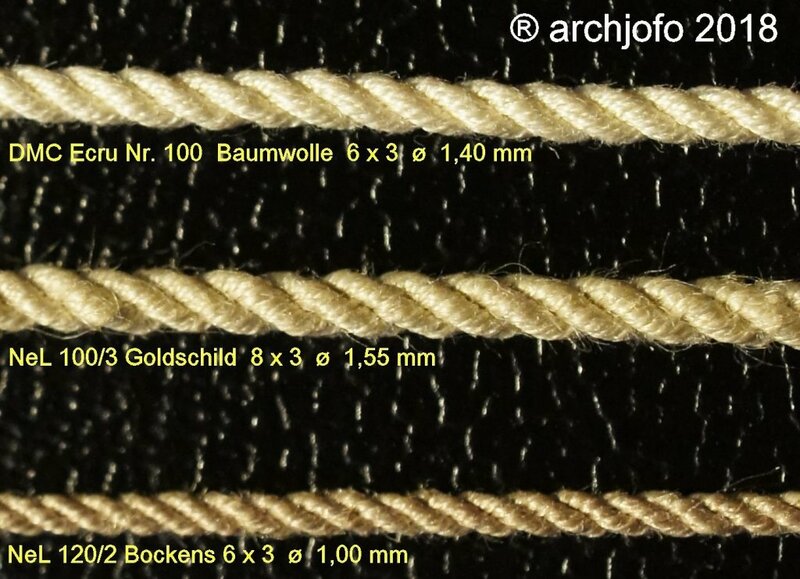 A few days ago I received the linen yarn from Bockens NeL 120/2 and Goldschild NeL 100/3 and immediately struck a rope with 2 threads per hook. For the linen yarn of Goldschild NeL 100/3, this resulted in a rope with ø 0.75 mm (on the right in the picture) and for the linen yarn of Bockens NeL 120/2 a rope with ø 0.55 mm (left in the picture). These yarns are a lot thinner, like those already presented. This makes it possible to make even the thinnest ropes I need in the upper rigging for the La Crèole. Of course, practice is still required. It gets better from rope to rope; the experience is steadily increasing and it's even fun. Surely it will be even better, but for now from my point of view as good. Hi Johann, I agree with you the quality of the wires is very good, bravo. ALL ropes look fantastic to me! Looks like you are well on your way with learning the ropes Johann. Thank you for the interesting and insightful picture. I have not tried a cable laid left handed yet. For this I will need some practice. in the meantime, I have tested other yarns in different strengths. 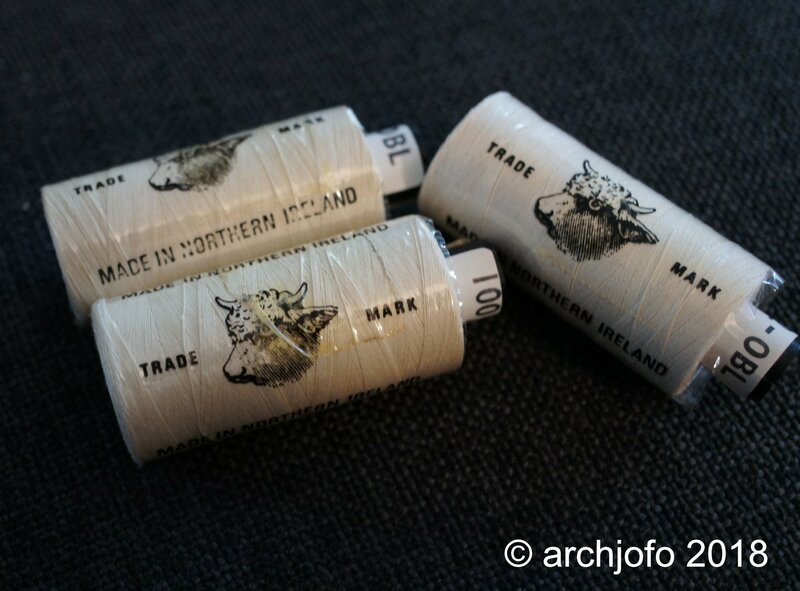 Meanwhile, the Irish linen yarn has arrived; one roll NeL 100/2 and two rolls NeL 90/2. The difference to the Swedish linen yarn can be seen on the next picture. Unfortunately, I can not compare the same strengths. 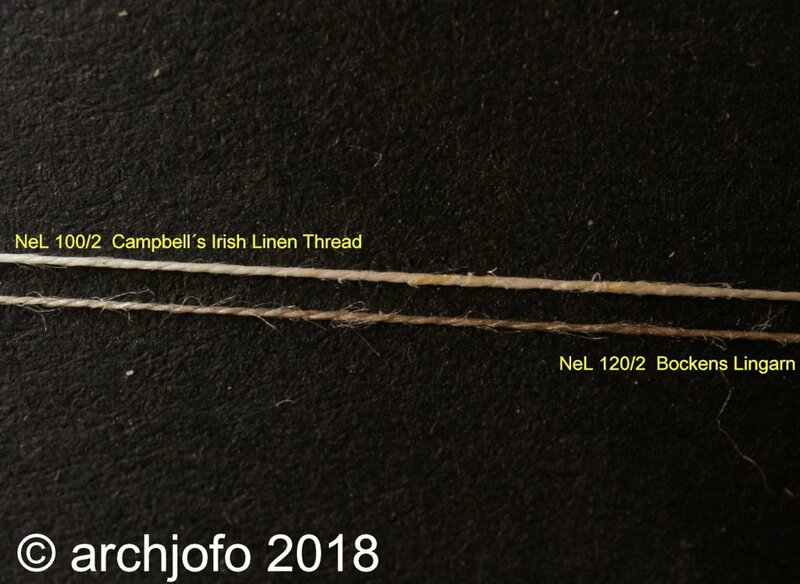 However, there is some difference between the two yarns. 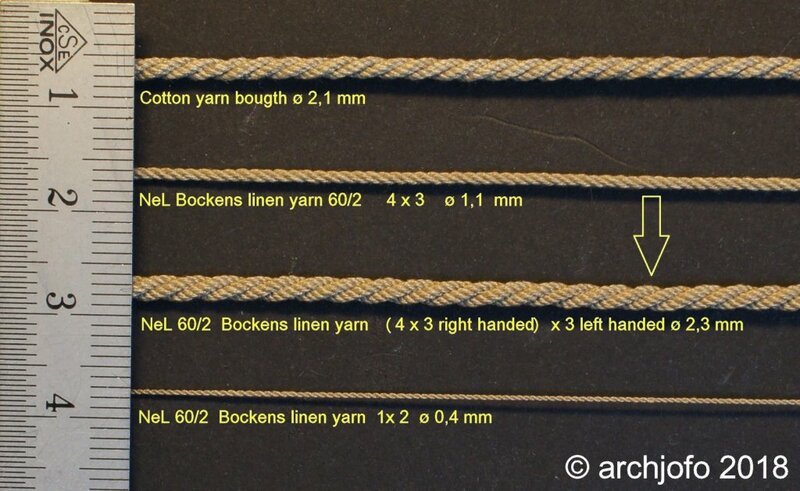 I still have to find out how these differences will affect the finished rope. In the meantime I have equipped the "looper" with an engine. As you can see on the next picture, I practiced a lot. 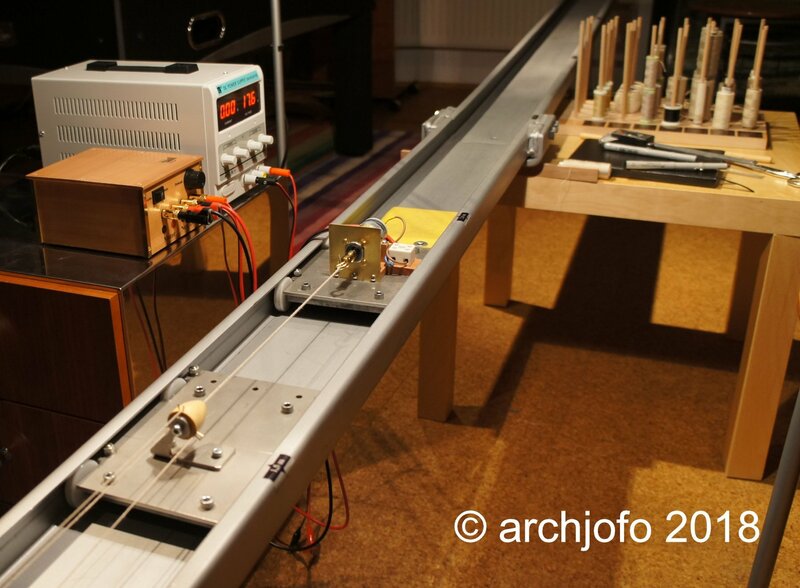 Nice pictures of the tests Johann. The clarity of the last shot is a bit deceptive regarding the sizes for me. The ropes are beautiful in and of themselves, could you post the picture of the ropes at a 1:1 scale for reference? 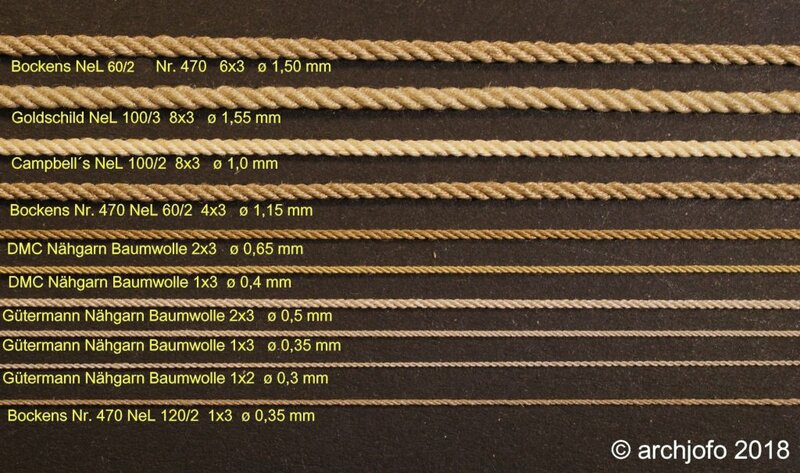 Gorgeous ropes, all of them! I wonder, did you try to twist any left handed ones as well from your threads? I´m sorry, but next time I will specify a reference scale with. so far, I have only made right handed ropes. Johann! 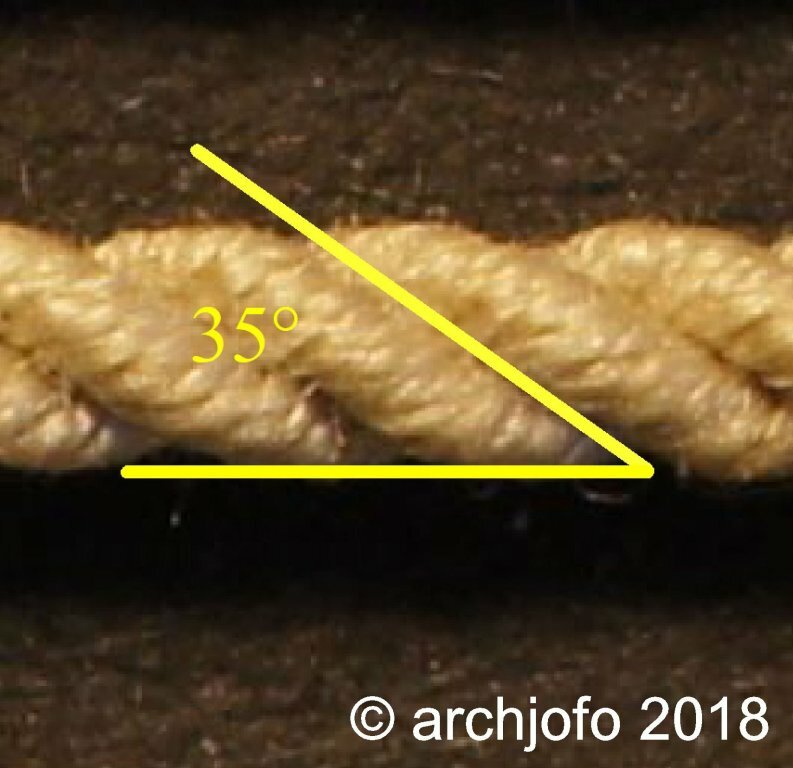 Secure the three strands with the right twist, reverse the polarity of the motor connection, and make a rope with the left twist! Don't forget to add great weight! It'll work! The eyes are afraid, and hands do! Thank you for encouraging me. I will try it soon. 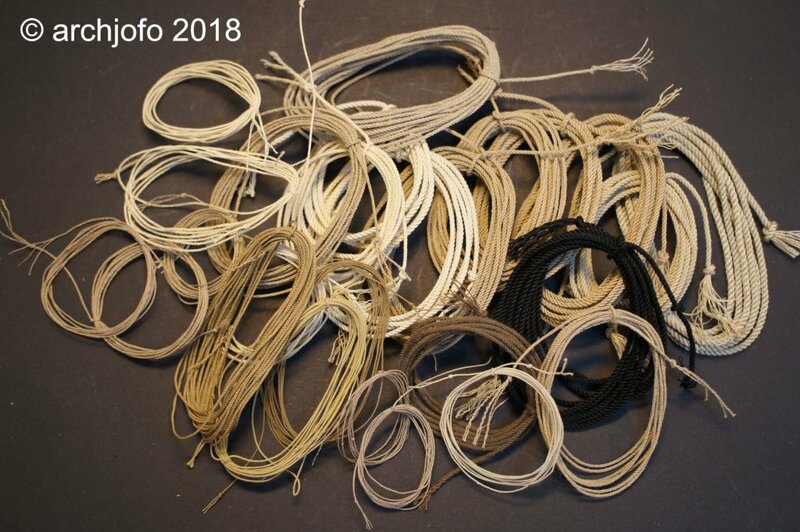 Today I made a very short video of rope making. finally I have the confidence to make an anchor cable. Actually, the right handed rope should only consist of 3 strands. But for the first try it was so much easier. As a reference measure, I have set a metric ruler. On the next picture, the purchased cabel is attached to the anchor, next to it is the cabel made by me. Johann, Thank you for adding the scale it helps a great deal. your ropes look very good. it's nice that you like the ropes. 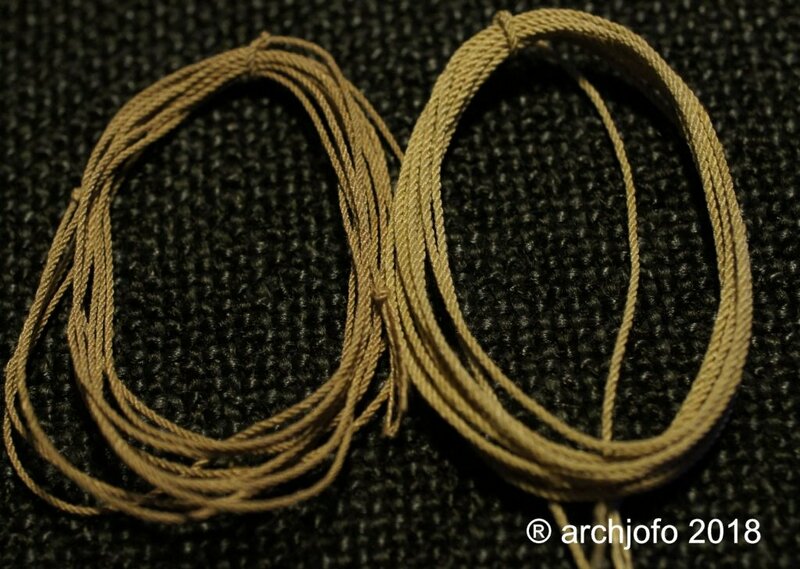 Today I want to show you the first attempts to preserve the ropes. 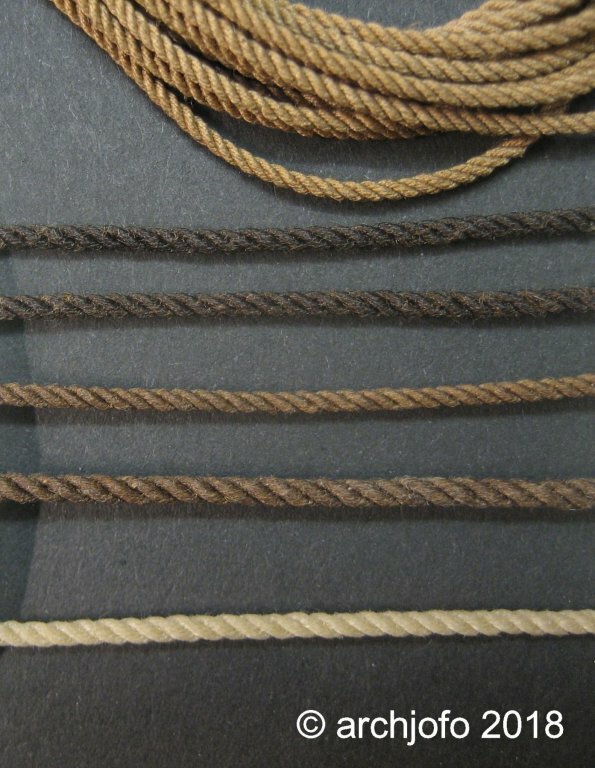 The ropes were dyed with stain powder (LINK) and after drying, impregnated with linseed oil or floor oil (darker ropes). 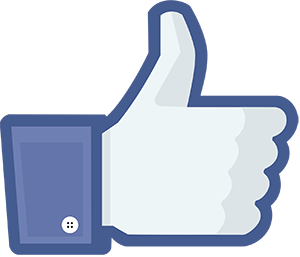 thanks for the nice comments and also for the LIKES. 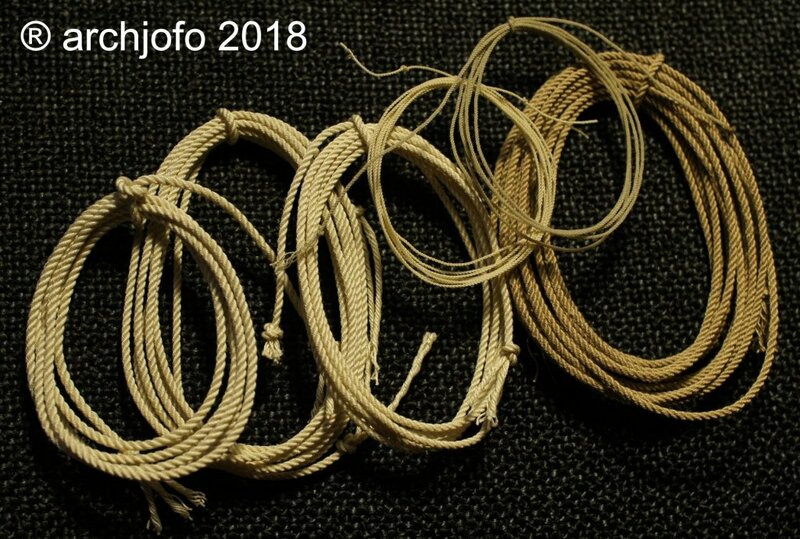 At the moment I'm still practicing rope making. In the meantime, I have also made further attempts to dye the ropes. It is still not completely satisfactory in terms of color. In a French blog I read that wax should not find use. Wax simply picks up dust. 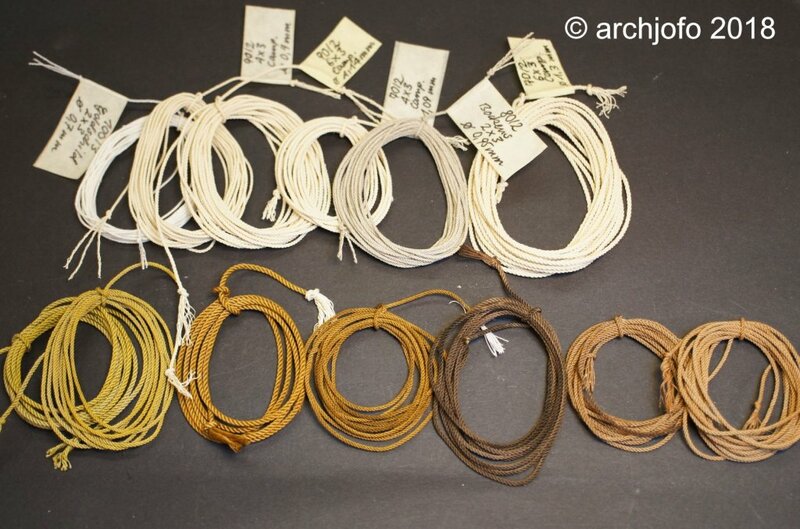 There is still a lack of clarity regarding the conservation of the ropes. For suggestions and hints I am very grateful. 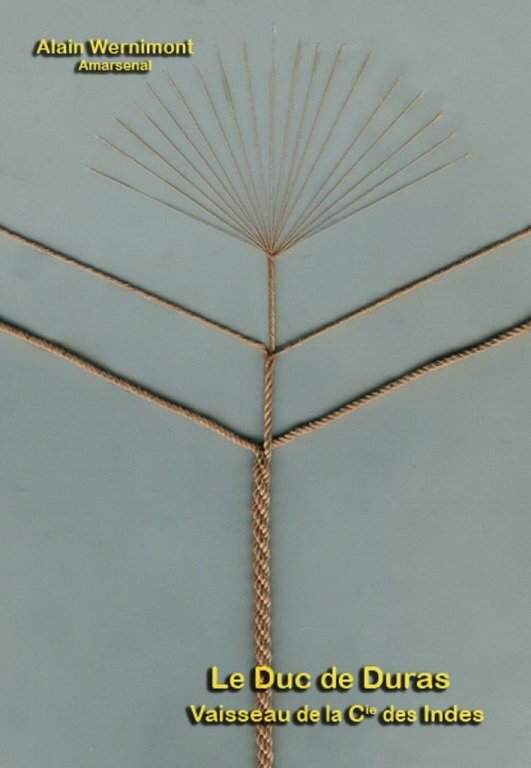 the strands should be about 35 °. I will make the shrouds soon, so I hope. I will second what Carl said. No matter what the medium, wood, metal and now rope, you set high standards and the results are worth the effort! You are a real artist, Johann! I admire your work!